Sailing changed my life,” says Doris Colgate, co-owner, President and CEO of Offshore Sailing School. “It opened new doors, provided new and lasting friendships, treated me to the most wonderful travel opportunities, and above all – a job and partner beyond my wildest dreams!” That partner is her husband, Steve Colgate, founder, co-owner and Chairman of Offshore Sailing School, one of the foremost racing sailors in the United States who was inducted into the National Sailing Hall of Fame in 2015, and is the pre-eminent sailing educator worldwide. two-instructor, two-boat operation to a widely acclaimed school with multiple branches, many sail and power yachts and a faculty of full-time instructors unequaled in the industry. Steve and Doris Colgate’s Offshore Sailing School is the only sailing instruction program with courses that have been approved for continuing education by the American Council on Education. Offshore Sailing School graduates, many of whom never set foot on a sailboat before taking a course at Offshore Sailing School, number more than 150,000. Caribbean, Bahamas, the Pacific Northwest, Maine, French Riviera, Croatia, Greece and Turkey, Tonga and Tahiti. Racing their own 54’ ocean racer Sleuth and later when Steve co-helmed the 82′ maxi-ocean racer Nirvana, Steve and Doris Colgate competed and sailed in England, Hawaii, Hong Kong, China, the Caribbean, Sardinia, Norway, Australia and Tasmania; Bermuda, San Francisco Bay, the Chesapeake, Bahamas, in Southern Ocean Racing Series (SORC) on both coasts of Florida, and Palma, Majorca. 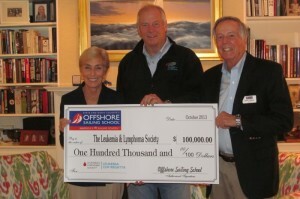 (LLS) Leukemia Cup Regattas. To date, Offshore Sailing School has donated more than $140,000 and hundreds of in-kind course donations to be auctioned off at Leukemia Cup Regattas across the U.S. Steve and Doris Colgate’s Offshore Sailing School has hosted four Fantasy Sail Weekend events for top Leukemia Cup Regatta fund-raisers, donating the use of the school’s Colgate 26 fleet and instructor time. Offshore Sailing School will host a fifth Fantasy Sail Weekend at the Pink Shell Beach Resort & Marina, donating its fleet of Colgate 26 sailboats, its operations team and chase boats for the two-day Leukemia Cup Regatta fund raiser event in December 2019. In addition to many other causes, Steve and Doris Colgate are avid supporters of the American Heart Association (AHA), Golisano Children’s Hospital of Southwest Florida, and numerous arts and cultural organization. Doris is a member of the AHA Go Red for Women Society and Steve is a member of the AHA Red Tie Society. Doris Colgate is also on the board of the Florida Repertory Theatre in Ft. Myers, Florida. 2006. 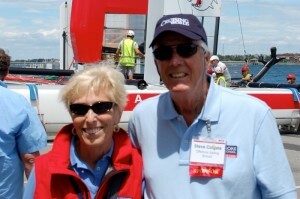 The Colgates have served on the board of Sail America (the official sailing industry association), and Doris Colgate was a member of that organization’s Marketing Committee for many years. 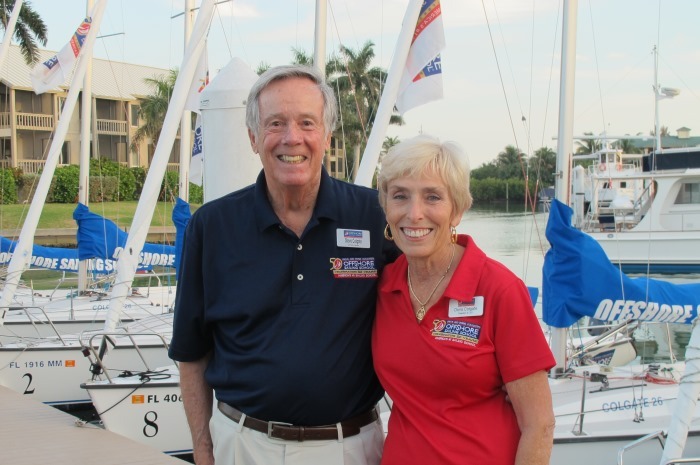 As members of US Sailing (the governing body of sailing in the United States) Steve and Doris Colgate have each headed the Commercial Sailing School Committee. 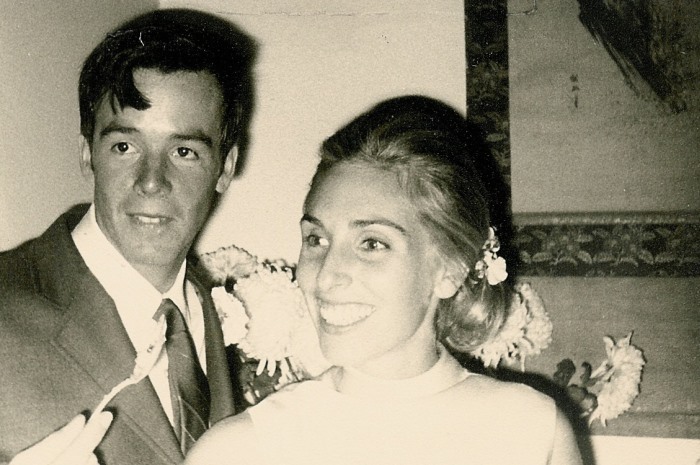 Steve Colgate led the US Sailing Training Committee that established the US Sailing certification system, served on its National Faculty for many years, and was a longtime U.S. Sailing delegate to the International Sailing Federation (ISAF) where he was a member of that organization’s Youth and Development Committee. In the past, the Colgates provided free use of their Captiva Island, Florida Colgate 26 fleet for those attending US Sailing’s Annual Meeting. 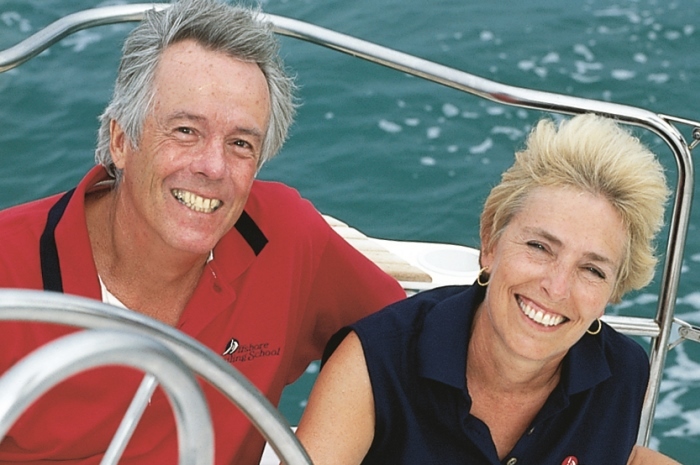 In 1996, Steve and Doris Colgate received SAIL magazine’s prestigious Industry Award for Leadership. 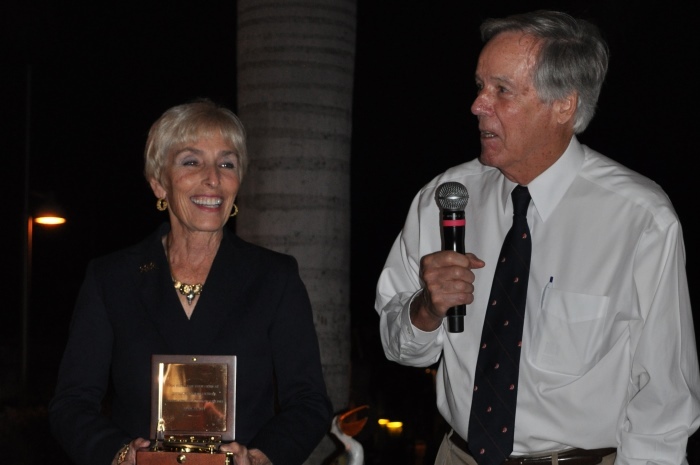 In 2003 they were awarded the US Sailing Timothea Larr Trophy recognizing leadership and excellence in sailing. 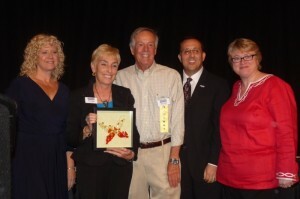 The Lee County Vacation and Convention Bureau (VCB) awarded the Colgates and Steve and Doris Colgate’s Offshore Sailing School two prestigious awards: The Junonia Award for their “tremendous commitment and dedication to the Lee County Tourism Industry in 2010,” and The Chrysalis Award in 2013 for expertise in Sales and Marketing. Steve received the US Sailing President’s Industry Leadership Award in 1999 and was inducted into the National Sailing Hall of Fame in 2015. Doris received the Leadership in Women’s Sailing Award in 2004 from the National Women’s Sailing Association and BoatUS, and is one of three Pace Center for Girls 2019 Grande Dames, to be officially honored at the 2019 Grande Dames Tea in March 2019. The Colgates have written many sailing books and are often called upon to speak about sailing. Steve Colgate wrote two extensive volumes on sailing published by W.W. Norton. His latest book Performance Sailing was published in 2012 by McGraw-Hill. Steve and Doris Colgate co-authored Fast Track to Cruising (2005) and Fast Track to Sailing (2009), both published by International Marine/McGraw-Hill. Doris wrote SAILING: A Woman’s Guide, published by Ragged Mountain Press/McGraw-Hill in 1999. Steve and Doris Colgate are members of the St. Charles Yacht Club, New York Yacht Club, and Royal Ocean Racing Club. Steve is also a longtime member of the Cruising Club of America. They reside in Ft. Myers, Florida – headquarters of the Offshore Sailing School and Colgate 26 enterprises. Take a Course With Offshore!